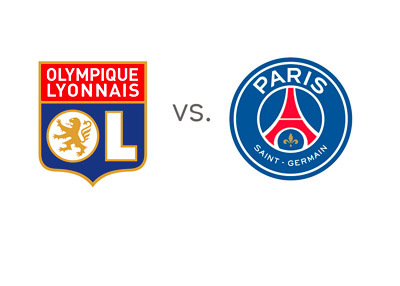 It is the marquee game in France as Lyon invite PSG for a crunch tie at Stade Gerland. Last week the top two of the German and English leagues clashed, but this fixture is more significant as the two teams competing are separated by only two points. Bayern were 11 points ahead of Wolfsburg, while the league leaders Chelsea were five points adrift of the reigning Premier League champions. Ligue 1 is without a doubt one of the most exciting leagues this season. Lyon, Marseille and PSG are in close contention for the league title and there are no favorites at present. The league leaders, Lyon were not very impressive last week as they were held to a goalless draw by Monaco. The absence of star striker Alexandre Lacazette could be the main reason. Lacazette's impact on Lyon is similar to that Cristiano Ronaldo on Real Madrid and Lionel Messi on Barcelona. Now ruled out because of the hamstring injury, the Frenchman has netted 21 goals in 22 appearances for his side. Lyon's league record at home is incredible this season: 11 victories, one defeat (in August against Lens). The reigning champions, PSG, on the other hand haven't had a fantastic first half of the season. They drew eight of their first twelve league games, a horrendous performance considering the standards they have set, yet they are still competing for the title, which should be alarming for other teams in the top four. A mediocre performance in the league and still they are among the favorites. When these two sides met in September 2014, the match ended in a 1 - 1 draw at Parc des Princes. Laurent Blanc's side also has a fine record against their opponents this weekend as last season they won at the Stade de Gerland 1-0 after sealing a 4-0 victory in the reverse fixture earlier, and they also defeated them in the League Cup final 2-1. Without their talismanic striker, Lyon might find it difficult to score against Paris Saint-Germain, but they will surely be looking for a win as a win would boost their confidence to win the league.